Some things never change. 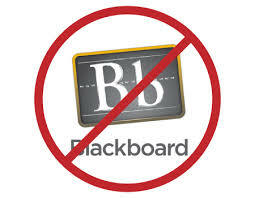 When you send your entire class of students an email through Blackboard’s email system, Blackboard manages to both delete hard returns that you actually wanted, and insert blank lines where you didn’t want them. Plus, the subject field is prefaced by an ugly long string of numbers as appealing as a USPS tracking code. And, your name does not appear as you expect it would, but as Blackboard chooses it to appear (in my case “Thomas Paul Novak,” which is way too formal for this purpose). Since there is no preview feature, the sender has no idea what a mess their email will be until they get a copy of it in their own inbox.